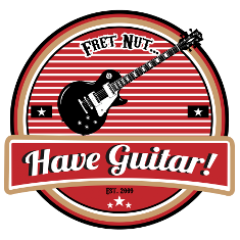 December 2018 - Fret nut... Have Guitar! So, another year has gone by and the sun is the same in a relative way but we’re older – time for a Top 5 Kemper profile packs that I have demoed during 2018! It was not an easy task to pick out five packs from the near 60 videos that I have done, have a look at the list of contenders in the video – all of those are really great packs and that list itself could work as a recommendation. As this video most likely will the last one of 2018 I’d just like say Thanks to everyone who has been watching my videos. Another Big Thanks goes out to You who have subscribed to Have Guitar, I really value that support highly! And a third Thank You to the people who have been supporting me in various ways with products to demo, it makes things so much easier as I’m not made out of money (unfortunately!). Let’s take a look… or rather a listen to Live Ready Sound’s The ReVerend G 120 – a profile pack for your Kemper Profiling Amp that recreates the sound from a Revv Generator 120 MKII! The Revv Generator 120 is a 120 watts tube amp with 4 channels – clean, crunch and two variable gain channels. You can operate it at 10 or 120 watts, it has MIDI capabilities and each channel has a 3-band EQ. For more details on the actual amp see the link to Revv amps further down this description. The profile pack from LRS so far contains 141 profiles, created with a bunch of speakers and microphones – it also contains 10 effects presets from Have Guitar, and that is what I based this Rig Showcase on. So you’ll get to hear the profiles as they come and then with my changes applied (and this FX addon is now included in the official pack). In addition the full pack also contains an additional 35 effects presets from Eltzejupp so yeah, you’ll have some fun going through this great pack! Don’t forget to subscribe to support Have Guitar! Every sub counts… Appreciation & Thank You’s to all you subscribing – You rock! This is a simple video about exactly what the title says: the difference between distortion, overdrive and fuzz. Many of you might know that already but I’m pretty sure there are a lot of players who doesn’t. This video is kept on a very simple level by providing sound examples from three different pedals tested on a number of “base sounds”. What sounds best is up to you, I just provide the examples. If you want a more technical explanation of the difference, please look elsewhere. Also as mentioned in the video; today there are loads of different variations of these pedals. There are overdrives that goes into distortion, there are distortion pedals that can do fuzz, there are a plethora of fuzz variants out there and so on. I just took the pedals I had available so that is what you get! If you liked this video, feel free to support me by a subscription to Have Guitar! A very Big Thanks to all you sub’ers, the support is appreciated!! Apparently the bonus Sundays continues! This is the December 2018 pack from ToneCrate and it’s a (mostly) heavy pack created together with the guitarist Jamie King! The pack contains 25 Kemper profiles all in all, most of them are high gain stuff but there are also a couple of bass profiles and some clear to crunch profiles here. In my ears this is a great sounding pack that contains profiles from various amps like Marshall JCM800 & 900, Peavey 5150, Ampeg SVT and more. If you’re looking for a Strat-style guitar then this article might interest you. Six different Strats or “super Strats” models, all under 2000 USD – well, it’s not directly low budget but still some nice options here. Now wait a second, isn’t that a song by Van Morrison?! Well, yes it is… but it’s also ToneJunkie’s name of this profile pack for your Kemper… that recreates the sound of a Friedman BE-100. And yes, BE stands for Brown Eye. So, this is not the first time I demo a profile pack created from that amplifier but like I say in the video, take the same amp and two different profilers and it will still differ in sound! The BE-100 is very competent amp, if you wanna read more about it just follow the link provided further down. This pack definitely has the ToneJunkie tone in it, well balanced and varied profiles. Might be this is a less “heavy take” than some other profile packs of the BE100 and that really proves what I have already stated above… I hope you like this demo, feel free to support me with a subscription! To you subscribers out there, wherever you are – Thanks! So here it is – the last Sunday Special Rig Showcase of the official Victory Kemper profiles Rig Showcase! And last out is the heaviest of these official packs from Victory amps – VX the Kraken! The profiles are created by Rabea Massaad, if you haven’t heard of him check him out on Youtube – a great guitarist well worth following! He was also involved in designing the original amp. VX the Kraken is small 50 watts amp with two channels; Gain I is classic British-inspired rhythm tones and Gain II is tight, aggressive American high-gain grind. The profiles contains clean to quite heavy sounds (though I must say I have heard harder and heavier sounds from the Kraken than what these profiles brings… possibly they can be tweaked more toward that sound if that is what you are looking for). And there we have it! I do hope you liked this demo & thanks for watching Have Guitar! Support my channel by subscription – it’ll be much appreciated! To all old and new subscribers – Thank You, your support keeps me motivated!